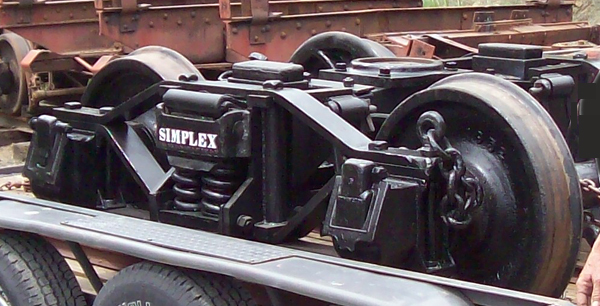 In June and July we continued to work on the tender and locomotive; welding, cleaning, fitting, measuring. 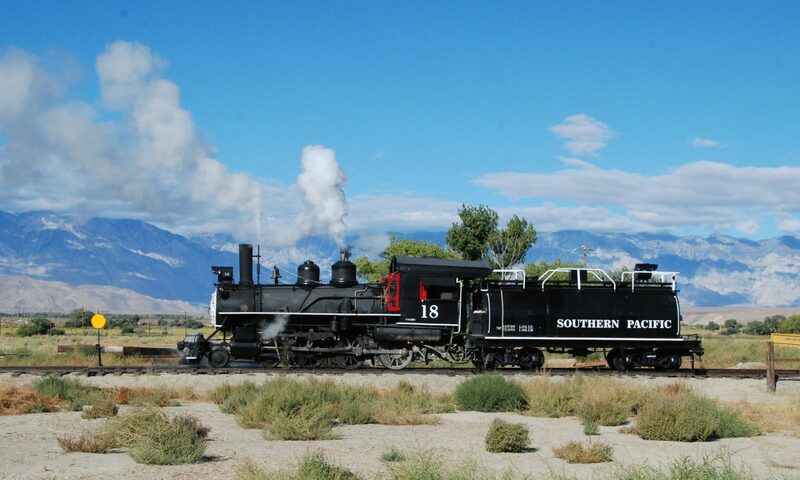 The rear tender truck has been completed and is back at the Eastern Sierra Museum. 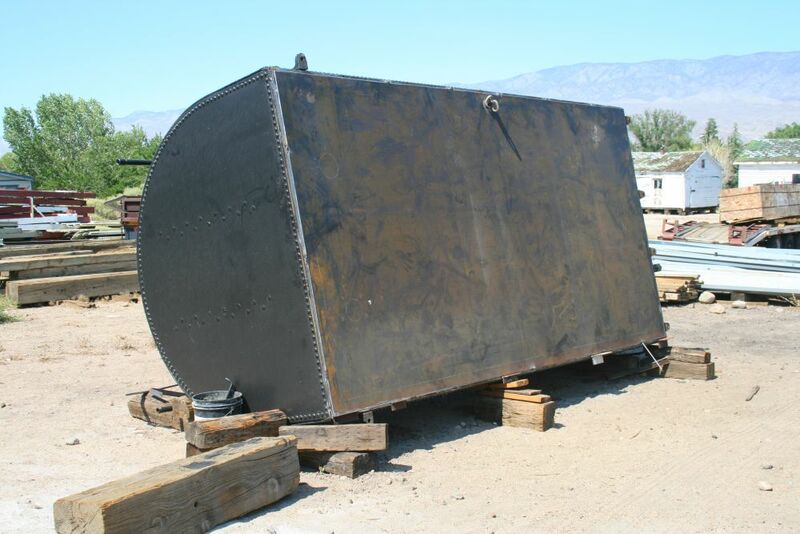 The front tender truck is being restored in Colorado. Photos show the arch bar being bent, using heat and leverage, and completed truck. The front truck bolster was trashed. It was easier and cheaper to fabricate a new one than to repair it. 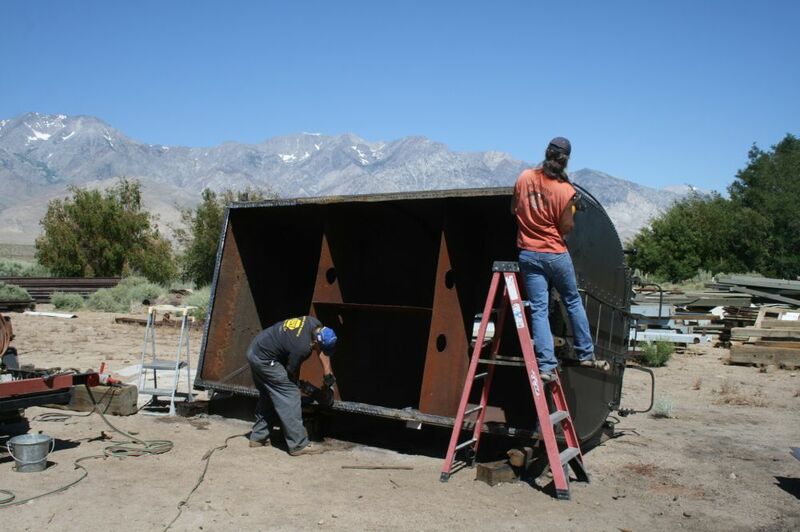 In Mojave Gerry Mulryan is restoring the sight glass. 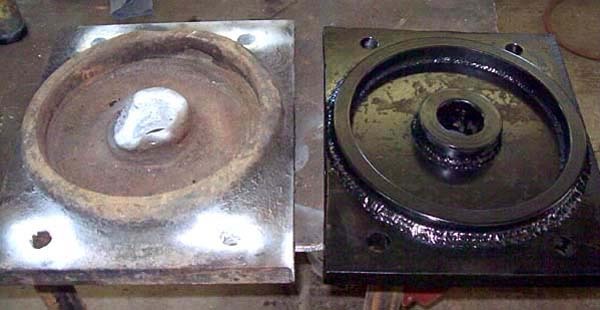 The photos show the valve body being machined. You might not be aware of how many skills are needed to restore an old engine, so we try to keep you informed. The whistle has been finished and can be heard by going to You Tube . The Rick’s – Echardt and Cromer – are to be congratulated on their work replacing the tender water tank floor. They removed, prepped, and fitted the new floor in just about a week. WOW!